We are extremely fortunate in the Okanagan Valley to have some of the most beautiful scenery in the world, and also a widely diverse selection of fantastic wines. Spending an afternoon wine tasting in the Okanagan is one of the great pleasures of being in this area, and it’s our aim to make this experience enjoyable for all of our guests and show off this area that we proudly call home. If you’re looking to spend some time touring the local wineries we have outlined some tips for you based on our own experiences around the valley. Well, we’re partial to Okanagan Falls and feel that this area is the dark horse of the local wine industry, but we may be a bit biased! Otherwise the entire valley is filled with stunning views and some great wine. While there is no set dress code, we would imagine that most wineries adhere to a “no shirt, no shoes” policy. A good rule of thumb would be to dress as if you were going out for a casual bistro meal. Dress comfortably for the weather, and a day spent wandering around outside and travelling between wineries. Also, try to avoid heavily scented perfumes and colognes as this might interfere with your wine tasting experience and that of others. Bring all of your best friends, or go it alone! Either way can be a great experience, but we do recommend a designated driver or tour service to make the day safe and enjoyable. Do I Have to Drink the Wine? Most definitely not. You are free to taste from available selections, and it is perfectly acceptable and non-offensive to spit discretely into the spittoon, or dump out the remaining contents of your glass. In fact, professional wine tasters always spit when judging wines as it allows them to keep their wits about them for the duration of the tasting day and properly taste a larger quantity of wines. 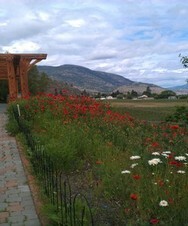 Are There Wine Tasting Fees in the Okanagan? This depends on the winery specifically. It is common practice now for most wineries to charge anywhere from $2-10 per tasting flight. Some reserve or special vintage wines may be available to taste in addition to that. 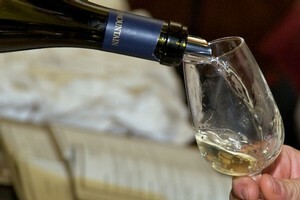 Many wineries waive the tasting fee with a purchase on a per person basis. Some wineries do tasting fees by donation to a local charity. Again, it varies from winery to winery, but in our experience it is best to bring some cash along for the day as it seems difficult to find an ATM when you need one. The law in British Columbia dictates that you need to be 19 years of age to consume alcohol, so basically you need to be 19 or beyond to try our wines at the winery. What Kind of Wines Can I Try? Most wineries pour a selection of their wines depending on availability. Typically many of the white wines are released in the spring around the Spring Wine Festival, with the big reds being released around the Fall Wine Festival, however, there are exceptions to this. Also, while the Okanagan is considered cooler climate, and well suited to grapes like Pinot and Chardonnay, we also get some intense heat and sunshine, particularly in the most southern parts of the valley, so we also have some nice Merlots, Cabernets, and Syrahs. At Blue Mountain we produce Pinot Noir, Gamay Noir, Pinot Blanc, Pinot Gris, Chardonnay, Sauvignon Blanc, and a Sparkling Brut. We typically taste 4 of these wines at any given time depending on availability. While wine tasting can be a bit intimidating at first, the most important thing to remember is to have fun. Wine means many things to many different people, but ultimately we feel it is meant to be a part of a great social experience. Whether you are a wine connoisseur or a first time wine drinker, we hope that what you take away from your wine tasting experience is an appreciation of the experience. 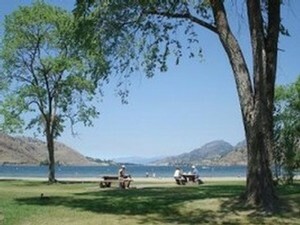 We want you to have a fantastic time and go home with fun filled memories of your time in the Okanagan. Read our "How to taste wine for beginners". Our tasting room staff is here to make your experience enjoyable, so please don’t hesitate to ask any questions while you are here. We are always more than happy to help you have the best experience possible. The act of tasting wine itself can look a bit strange to the newcomer, so we’ve put together this handy beginner’s guide to wine tasting, so you can look like an expert on your visit to the tasting room should you so desire! Typically the host will explain what is available for tasting and ask you which ones you’d like to try. 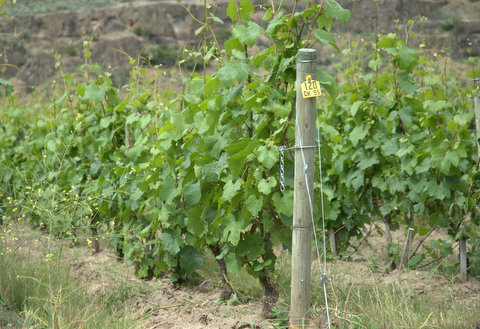 Most Okanagan wineries will allow up to 5 tastings. To maximize your experience, it’s usually recommended to start with the lighter wines and move to the heavier ones, as the heavier ones will have a dominating effect on your palate which would make tasting a lighter wine more difficult should it be done the other way around. So typically it’s advised to taste from white to red, and within those two categories from light to heavy, or dry to sweet. Most tasting room menus are ordered in this way, so simply following from top to bottom on the list will usually suffice. You’ll notice people swirling their glasses. Unless you’ve developed impeccable wrist twirling technique, it’s best to do this by placing the base of the glass on the counter and moving it in a circular motion. The purpose of this is to aerate the wine. The wine has been trapped in a bottle sometimes for a couple of years, so it needs to “breathe” a little to reach its optimum flavour. Stick your nose right in the glass, close your mouth, and breathe in giving the wine a good sniff. Take the glass away and think about what it might smell like. The scents that you pick up might remind you of cherries, raspberries, tobacco, chocolate, or leather in a red wine; while in a white wine you may detect citrus fruit like lime or grapefruit, stone fruits like peaches and apricots, grass, and honey. What you pick up here is entirely about you. Don’t be swayed by what other people think, and feel free to come up with your own observations. If you smell waffle cones and butterscotch then that is what you smell. Everyone has a different point of reference when it comes to tasting wine. It’s ideal to take another run at the swirl and sniff as often you’ll pick up more the second time around. Take a little sip from the glass and hold it in your mouth for a couple of seconds. Some people will take air in at the same time making a little gurgling noise. This is for the same reason as step 2. Otherwise give the wine a little swish in your mouth, and take note of the flavours. Often what you taste initially on the tip of your tongue will be a bit different than what you taste mid-tongue, or mid-palate after the wine has lingered a moment. Spit or swallow the wine as you desire, and then think about the flavour or aftertaste that remains in your mouth. This is described as “the finish.” Does the flavour linger for a long time, or does it disappear quickly? What does it taste like. If you breathe back into your mouth what flavours remain? A wine could have a smoky finish, or some nice caramel on the finish. Repeat the process a second time or until the wine is gone. Many people find it fun to think about the wine and share observations about it after. This can be educational, interesting, and sometimes even downright hilarious. Again, serious tasters will have very seasoned palates and astute observations, but this should not turn you off as wine is different for everyone. Try to form your own opinion, and remember that it’s okay to start with whether or not you like it. This is probably the most relevant piece of the puzzle. While you certainly don’t have to purchase wine after a tasting, if you do like one, some, or all of the wines it may be nice to bring some home for dinner that night, or to take some home to enjoy at a later date. We welcome you in the tasting room Monday through Sunday from 11am -5pm, May through October. 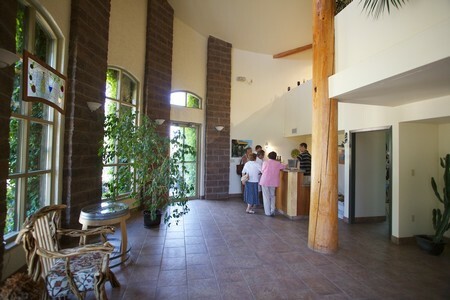 Blue Mountain Vineyard and Cellars's Tasting Room/Wine Shop. Although the weather remains unstable and rather unseasonal, summer is in full swing! School’s out, the roads are jam packed with travel trailers and RV’s, the cherries have hit the fruit stands, and the farmers markets are filling up with all of the local produce. Summer in the Okanagan also brings weekends filled with various events and festivals, and in particular one of our favourites, The Summer Okanagan Wine Festival. The summer wine festival calendar is filled with great events from outdoor wine tastings with more bold flavored wines than you could ever desire, to wine and cheese beach parties, road bike races, tailgate parties in vineyard settings, and the visceral sound of Spoken Word poetry paired with equally feisty wines. There truly is something for everyone. With over 30 eclectic events spread over 10 days at the height of summer in the Okanagan, this year’s summer wine fest promises to deliver some fantastic experiences, culture, and of course — great wines. Many events this year are inaugural events and you could be the first one to check them out! Here are a few events that we found particularly enticing. 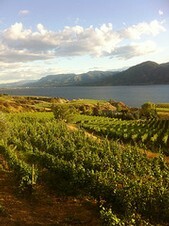 For a complete listing of events check out the Okanagan Wine Festivals website. We look forward to seeing you in the tasting room during the festival! There are many more events to experience. Let us know what you attended and what you enjoyed. No matter what you choose to attend this summer, make the most of the Summer Okanagan Wine Festival taking place at locations throughout the valley. It’s going to be hot!